I was in Berlin from Sunday to meet my grand uncle and grand aunt yesterday whom I haven’t seen in almost two decades. One of the ports of call of their Baltic Sea cruise was in Rostock and we decided a rendezvous in Berlin. For my overnight stay, I stayed at an acquaintance’s place in Charlottenburg, one of the ritzy boroughs of the city. No, I did not stay at Kempinski Hotel; I don’t want to be accosted of living on a champagne lifestyle with a beer budget in Germany. Neukölln in Berlin is one of the quarters that is, according to this brewing discussion at Toytown Germany, succumbing to undergoing gentrification. The other borough of Prenzlauer Berg north of the city has undergone this phenomenon. Lacking any knowledge of any ‘fun’ things to do there, I personally have never been to the area during my sporadic visits to the city. 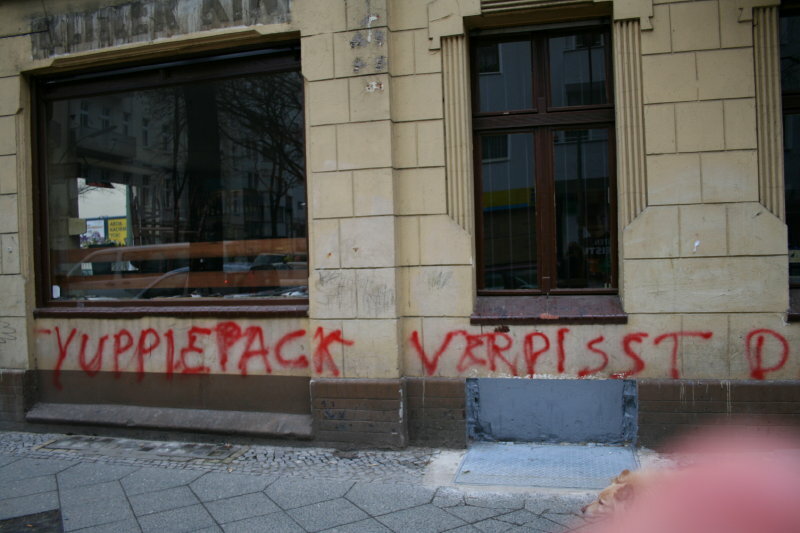 Neukölln is a gritty area mostly populated by Turkish immigrants. While imagining artist and yuppy types slowly trickle in, it led me to think whether in general, ethnicity is related to gentrification, i.e., has there been a case when non-Caucasians gentrified a largely Caucasian quarters. And I am distinguishing it from ‘white flight‘. Or is it always the case that income distribution is skewed favoring Caucasians, who consequently have the purchasing power to move into a ‘hood transforming into a hipper one, inadvertently driving out non-Caucasians who find it hard to cope with rising rent?